Supporting your staff with a range of training options. At SoloProtect we provide our customers with a range of high-quality training options ensuring that all end-users can comfortably and confidently use their SoloProtect lone worker device. Our online, customer engagement platform, SoloProtect Insights provides 24/7 access to flexible training support for all solution users, accessible on PC, mobile and tablet devices. End-users are trained through a series of videos hosted within SoloProtect Insights. Videos are broken down into a series of topics, allowing the user to access in stages if needed – saving progress if a user only has enough time to part-complete. Through Insights, lone worker managers are given clear feedback on the training progress of end-users. 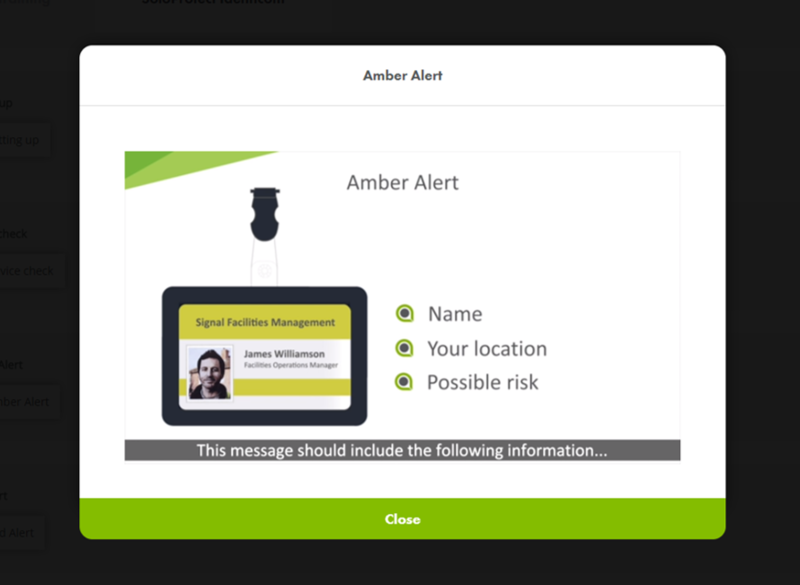 Notifications can also be sent to remind lone workers to carry out their training. If you are a SoloProtect customer, and do not yet have access to SoloProtect Insights, please contact support@soloprotect.com. If required SoloProtect also offer Face to Face training (F2F) as part of a SoloProtect solution. A qualified SoloProtect Trainer will host a comprehensive training session on-site, with your staff, in order to give a comprehensive break down of how best to use your SoloProtect device whilst lone working. These sessions are interactive and designed to leave your employees confident to use their SoloProtect device as part of their daily lone working routine. By collecting feedback from training participants, we found that 95% of people receiving this training rated it as 'Very Good/Excellent'. If additional training sessions are needed, beyond your initial set-up requirement, they can be arranged at cost-effective rates with the Customer Support Team at support@soloprotect.com. For more information please contact training@soloprotect.com. * Please note, F2F training is available based upon a minimum order of SoloProtect devices through SoloProtect. For more information, speak to your SoloProtect Key Account Manager.